The Cincinnati Reds coaching staff continues to fill out. Manager David Bell and pitching coach Derek Johnson now have a hitting coach on the staff. Turner Ward will be taking over the role as hitting coach for the Reds. He is replacing Don Long. Turner Ward has been the hitting coach for the Los Angeles Dodgers for the last three seasons. Prior to working with the Dodgers he was with the Arizona Diamondbacks from 2013-2015, with his first year coming as an assistant hitting coach. From 2014-2015 he served as the Diamondbacks hitting coach. Before moving up to the Major League coaching staff, Ward was in the Arizona farm system where he worked as both a hitting coach and manager from 2008-2012. He also managed in the Pirates organization before joining the Diamondbacks. Ward also played in the Major Leagues from 1999-2001 for the Indians, Blue Jays, Brewers, Pirates, Diamondbacks, and Phillies. Under Turner Ward as hitting coach, the Los Angeles Dodgers led the National League in OPS+ in 2018 by a wide margin. Their 109 OPS+ ranked tops in the league. The next closest team was at 99. In the 2017 season the Dodgers finished second in the National League in OPS+ with a 104 mark, trailing only the Miami Marlins. In his first season as hitting coach the Dodgers finished with a 95 OPS+, ranking 9th in the National League. With the Arizona Diamondbacks in 2015 his offense finished 4th in the National League with an OPS+ of 97. The year before that, his first as a Major League hitting coach, the Diamondbacks finished 11th in the league with an 89 OPS+. It’s difficult to give credit, or take credit away simply based on the raw numbers. You don’t get to choose the players you work with. With that said, there is plenty of offensive talent on the Cincinnati Reds roster, and there should be room for growth overall moving into the 2019 season. 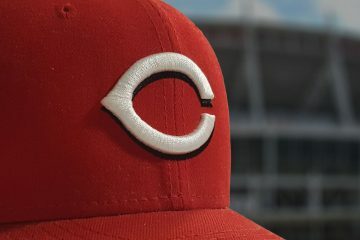 It seems that the Reds are cherry picking good people from other organizations to fill out the on the field leadership. Ward hitting coach for the most productive offense and a quality pitching coach from the Brewers. Maybe wWilliams has actually taken running the team over from Jocketty. WALT JOCKETTY WAS RUNNING THE TEAM OVER?! Sorry, I can’t help myself. I’m the worst. But, I think that it’s really interesting that the Reds seem to not only be going after top guys, but landing them. It seems like not only is the plan in place, but they are actually executing that plan. 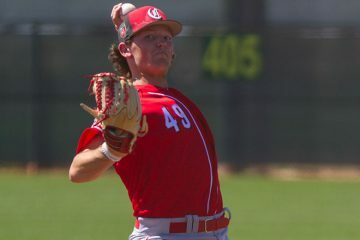 It’s much cheaper to land coaches than players, but as we found out yesterday, too – the team is at least talking to someone about guys at the top of the pitching market. That’s never really happened in Cincinnati before. Those guys were not even considered because of their monetary commitment. We’ll have to see if the Reds can follow up with the players like they have with the manager and coaches. I’d imagine that the first hope is to land at least one of their “targets”, then re-assess the situation. That’s probably the same plan for a few teams. With the Reds, I think/hope, that’s their plan. If they need to trade for someone “to get the pitching”, they have the pieces. But I also believe that they hope to not go down that road. If nothing else, the offseason is certainly starting off on an interesting note, isn’t it? Yes, but when the game has appeared to pass you by, it is time for a change. Interesting read; downgraded to a B+ because he eschews bunting by non-pitchers. Sounds like a great coach and solid fit with the Reds! I hadn’t focused on the part about bunting. Had to read it again. Seemed like he was putting the “blame” on the manager though. In any case, I need to add “eschews” to my vocabulary. Quality small ball word. Statistically speaking, it looks like another great addition to the staff. Just curious as I didn’t see it noted- was the expectation that the Dodgers would retain Ward going into ’19, or were they seeking a new coach? Here is another good read. Great read. Very encouraging that Ward has seemingly helped turn around a number of Dodgers besides Puig. It’s early, but the FO seems to be batting 1.000 (3 for 3) on important decisions this off season. It’s been a fun off season thus far. Have the terms of the contracts been indicated for any of the three coaches? My comment got swallowed up yesterday but it holds true for this post as well. Only time will tell if the Reds are making the right decisions with these hires but a definite pattern is emerging—they are being very aggressive in identifying their targets and moving on them deliberately. I think this is a very positive development. It speaks to unity in the front office and of having a fully formed plan. This will serve them well in the hunt for free agent pitching as well. With so many teams in need of pitching this offseason, the aggressive teams will have the advantage as the market will not benefit bottom feeders like it did last year. The Reds can identify potential matches quickly and just as quickly pivot to their fallback options. The knock on the front office for many years was that they couldn’t walk and chew gum at the same time (i.e. trade deadline shenanigans, etc.). I think they’re demonstrating that is no longer the case. I think the Reds are smart to be aggressive right now. Once Machado and Harper are off the board, there are going to be a bunch of teams with money to burn and no one to spend it on. Unlike last year, I expect that it is going to take a lot of money to get marginal talents this offseason. Identify targets early and strike before the other teams know that they’re playing in the same pool as you are. Another great pick. The organization needed a whole change in the way of doing things. Not only on the pitching side. The offense needs to change its approach too. I’m starting to be encouraged by every move made so far. Very smart to put a highly touted team of decision-makers in place as early as now before deciding who stays or not and what player(s) should be targeted. A selling point to lure free agents and evaluating personnel. The owner talks about opening the wallet. Perhaps better days are in the future for our beloved Reds after all. Everyone seems pretty positive about these coaching staff additions which means it’s my turn to be Debbie Downer. Do you think these high priced coaching additions (I mean to not only get the best but to get them to come to Cincy? $$$) count toward this “highest payroll ever” thing?? No, I don’t. Honestly, if these additions cost the Reds more than a combined $1M extra a year, I’d be very surprised. I like the approach of poaching seemingly good coaches from winning organizations. That said, I am a little concerned with Ward. Watching the Dodgers a lot this season (wife is a fan), the approach of many of the Dodgers seemed to be swing for the fences in all circumstances. I’ve never seen so many hitters swing so hard on 2 strike pitches that they fall down. The Dodgers were last in the league in batting average with runners in scoring position and two outs as many of their hitters would just go for homers instead of putting in play. I hope that was not a Ward philosophy and just the way these particular hitters approach hitting, but that is a concern for me. Then again, he helped turn Turner and Puig around (two that don’t swing for the fences every pitch) so there are good things too. On another topic, it seems the Mariners may be looking to tear it down. I wonder what it would take to get Leake back? He is due $11 million a year over the next two years (net of what the Cards are paying him to pitch elsewhere) and could be a solid addition if the price isn’t too high. If the Mariners are tearing it down, isn’t Paxton the guy we want? Any idea what he’d cost? Team offense ranking in 2018…. If they go after a M’s pitcher I hope its Paxton. Segura would look pretty good at SS. I agree Paxton is the one to go after. Mike has not been that great since he left us. I hope this guy is better for reds than he was for Bellinger etc. The hitters never made adjustments. Coaches from cash cow teams make me nervous . When was the last time either of these two played a full season? Here, here MK! we spent big money on players that had good track records for not getting injured (Bailey, Mesorasco etc.) and we saw how that turned out. I would hate to see us spend big money on a player that had a proven track record of being hurt! Pollack would be fun to get, but I bet they spend the money on pitching instead. I don’t know about this hire. Watching some of the Dodgers games on TV that I did see. I didn’t see a lot of Quality at bats Bellinger, Piug, Peterson come to mind first and the rest of the lineup. A lot of home runs because of the launch angle supposedly, that pumps up team stats. I kind of thought Don Long might be the one coach that they would keep. I’m of the belief don’t fix what’s not broken, the Dodgers don’t have anybody in there lineup with the advanced hitting approach that Votto, Suarez and Winker have and Long has to have had a some positive effect on the development of Jose Peraza, and don’t bring Hamilton into it, some players just can’t be helped. I’m a little concerned about this hiring. It seems most of the reds players improved over the last few years in terms of offense (someone with a stat mind could prove or disprove this I’m sure). 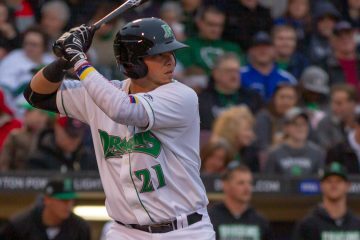 The dodgers minor league talent has been tremendous the last 5 years. Its likely that Ward inherited some really talented baseball players that the Dodgers organization recognized, recruited and developed. I hope I’m wrong and he was directly responsible for improving their hitters at the ML level. On one hand the dodgers hitters did seem very prone to strikeouts and wanting to hit the ball out of the park every at bat in the playoffs. On the other hand, I would love to see the Reds make it to the world series if that is the result of launch angle philosophy. 1) I hope Ward doesn’t bring that crazy launch angle crap. Bellinger has that crazy straight uppercut. 3)It’s the 150th anniversary. It’s a marketing blitz to get customers back. Now, money will be spent on free agency. All the stars are aligned. New manager and coaches. Nick Senzel, welcome to Cincinnati. Who’s coming, and who’s leaving?? “Crazy launch angle crap”…. ooof, that’s a bad take, Will. Launch angle does not mean “upper cut swing”. Hmm. Seems like a good hire. Could we surmise that these two took these jobs because they would get increased control over play development, or is it just money? If the former, that’s something that will take time to manifest itself, do the reds have that long? If FA is the route, I agree with MLB trade rumors that it’s more likely guys like Holland and Harvey. I really don’t want the trade route cause the team isn’t that close to competing. They are so thin, one schedbler down, enter Mason Williams. They just aren’t close and trading away a Trammell or a senzel for a carrasco that may not even get you to .500 doesn’t seem smart. IMO, this is just kinda too little too late. The NL is freaking loaded with hyper aggressive smart teams with lots of talent and money to spend. If these hires happened 3 seasons ago, maybe. It’s Walt’s world and we are all just green beans in a can. I’m sure money had something to do with it. It almost always does. With Ward specifically, he mentioned that being closer to home played a role in things, too. He noted that being on the west coast was tough for him. I’m old fashioned. I’m not a saber geek, but some of the new thoughts I can understand. Too many nowadays are taught uppercut, chicks dig the long ball. Give me Tony Gwynn any day, every day. About 15 homers a year, but hit .300 with lower strikeouts. He made contact, it’s demoralizing. In GABP you don’t need an uppercut. Only half the schedule is played at GABP. West coast you need contact hitters, cue George Grande. Get em on, over, in. 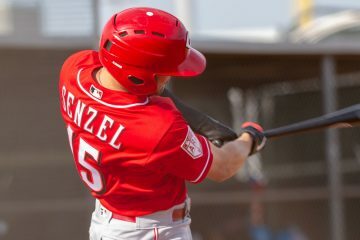 The first mentions of Senzel was he doesn’t have much power. So what? He can hit. Let Votto and others hit HR’s.